Americans have have a hard time relating to historical significance as our country is not even 250 years old with the Columbus voyage just 525 years ago. 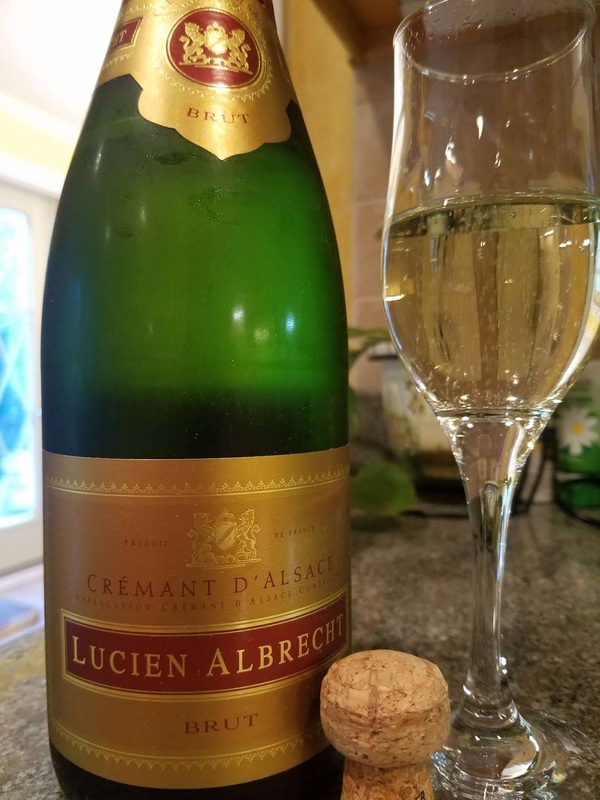 Yet, almost 600 years ago -- in 1425 -- Romanus Albrecht started producing wine that would eventually evolve into one of Alsace's famous brands: Lucien Albrecht. The current winery traces its heritage to Balthazar Albrecht, who in 1698, settles in Orschwihr after the end of the Thirty Years’ War and cultivates vines. After the phylloxera epidemic and Alsace's return to France post WWI, Henri Albrecht replants vineyards by grafting rootstock to the vines and his success leads to Lucien Albrecht and Crémant d’Alsace. Albrecht leveraged the the work of Julien Dopff and began test productions of sparkling wines in 1971. Five years later the official AOC Crémant d’Alsace designation of origin is established mandating that the sparkling wine be made in the méthode champenoise style and using Pinot Blanc, Pinot Gris, Pinot Noir, Riesling, Auxerrois and Chardonnay grapes. Lucien Albrecht is considered as being one of the three founding fathers of the regulated Crémant d’Alsace". These sparkling wines offer outstanding quality at generally lower prices as Champagne. 50% Pinot Blanc and 50% Auxerrois blend are handpicked and are whole cluster pressed. The base wine is fermented completely dry and is usually 8.5% alcohol before dosage and the second fermentation. This process is allowed to finalize after about 18 months which results in perhaps less effervescence but abundant freshness. Besides the ripe stone fruit characters the strength of this wine is in its structure. There's texture and body, less bready, with a fresh finale. Cheers and great SRP.